Aren’t these the cutest kids you’ve ever seen? I certainly think so. Of course, I might be a bit biased. The one on the left has my features. It’s not something people seem to want me to talk about, best it be swept under the rug. But that’s not my style. She is my daughter. Well, perhaps I should rephrase. I am her birth mother. When I was a senior in college, I became pregnant one drunken night. It isn’t anything my parents or their friends or the members of my church wanted to hear or believe about me. The girl who won Neighborhood Bible Time and Clubber of the Year in AWANA each year. It was so taboo. This was when I finally learned not everything in life is about me. I was listening to “the Fray” tonight and heard, they say the best way out is through. It is. Gracie is a happy girl with a brother who is her best friend. Occasionally I see her. I see her and I ball my eyes out for days, but that doesn’t mean I regret any of it. I’m happy she’s happy and I’m grateful for her wonderful parents who love her and me regardless of mistakes. I love this post! Gracie is beautiful! not taboo. the most beautiful and selfless display of love. you are one of the bravest and strongest mothers i know. 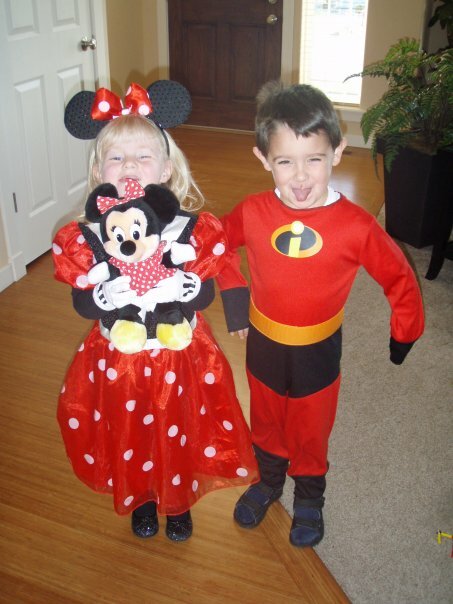 oh my gosh gracie is such a cute minnie! she is lucky to have two moms that love and care about her. Thank you for sharing your story and your beautiful Gracie with us. I'm was a product of the same sort of drunken night. Adopted when I was 7 days old. I have 4 children – two of whom are adopted. I've seen the system from both sides. because of selfless decisions like yours. Thanks for letting us see a glimmer of it. I love the sparkle in her eyes. Well done – on EVERY count.